Karina's Kreations: Create fun cards with Stampin'Up Piece of Cake stamp set. 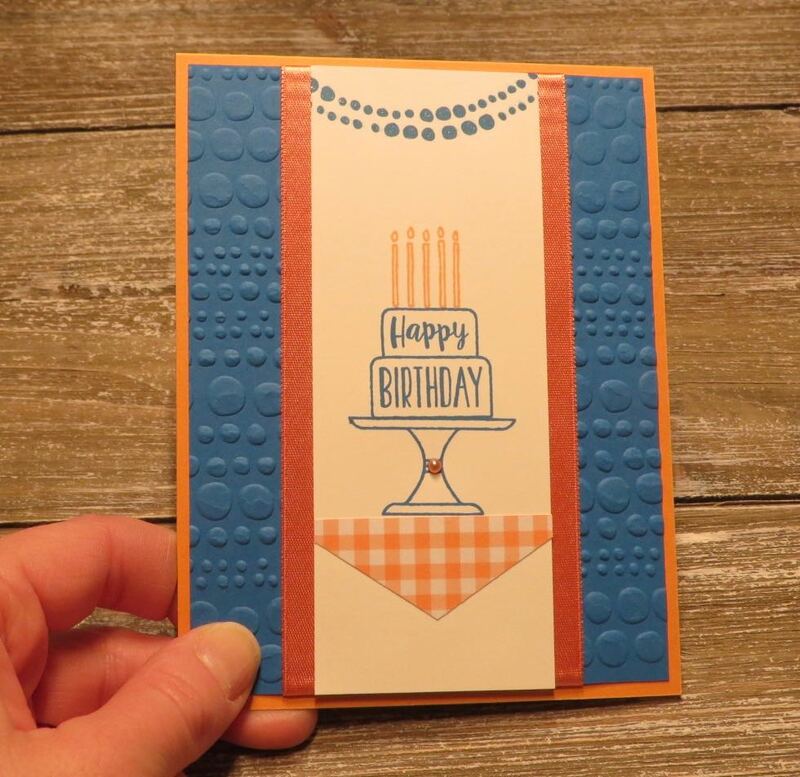 Create fun cards with Stampin'Up Piece of Cake stamp set. The Stampin'Up Piece of Cake stamp is so fun to create with. 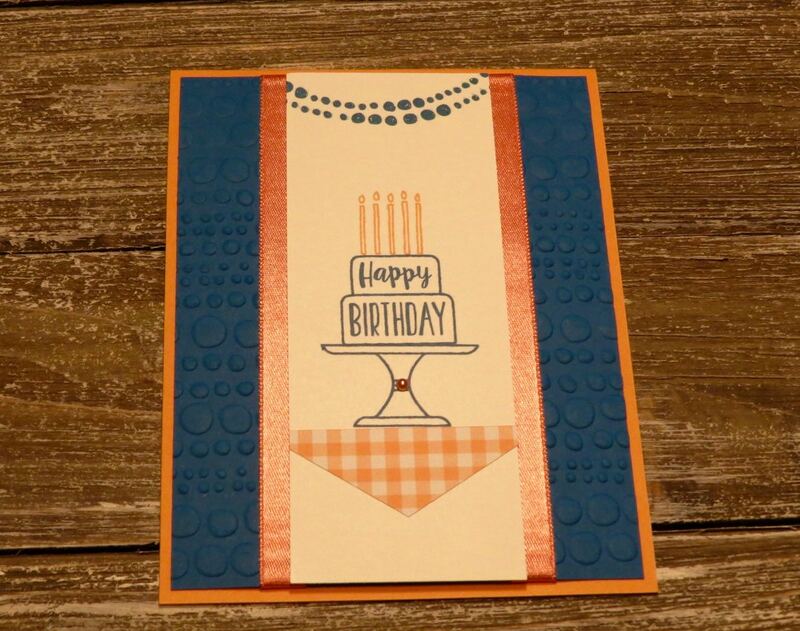 This cute card is a swap from Chris Carmichael and I love how she created a table cloth with Designer Series Paper for the cake to sit on. I also like how she placed ribbon along the edges of the Whisper White card stock. Here's the supplies for this card. Click on a picture to go to my stamping store.